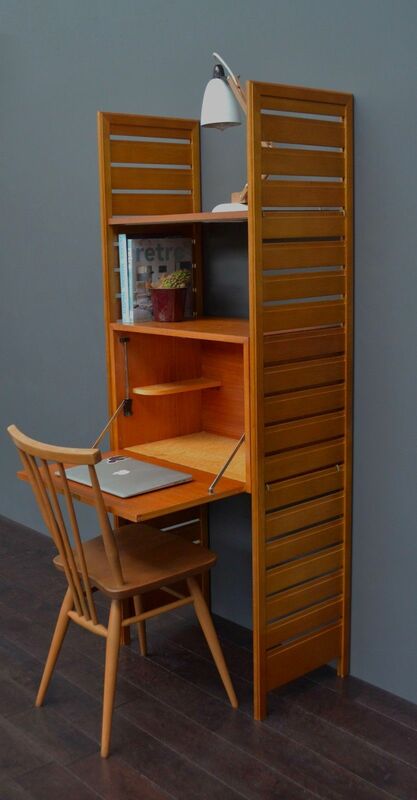 Stylish, flexible and functional, The classic Staples 'Ladderax' mid century shelving system but in a compact size. 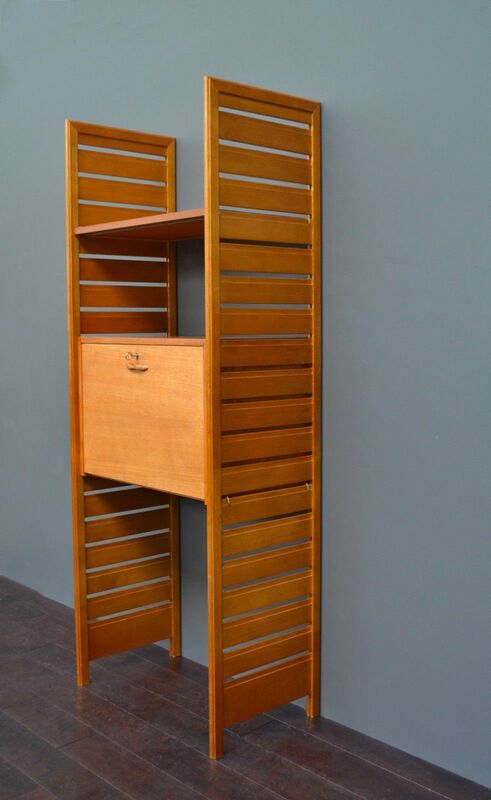 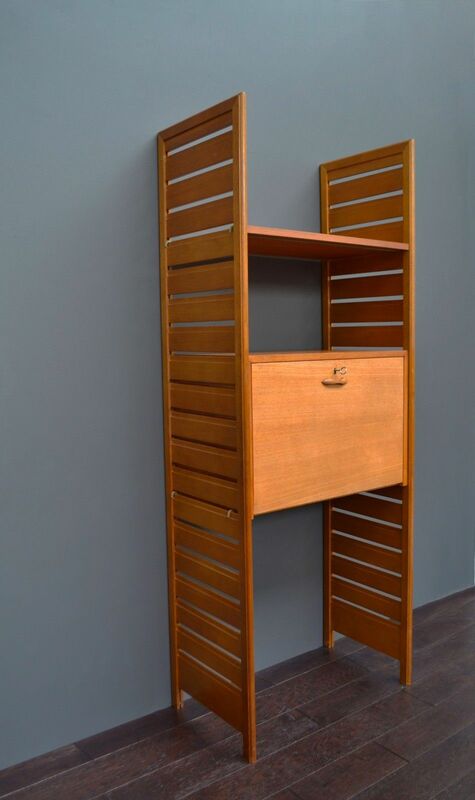 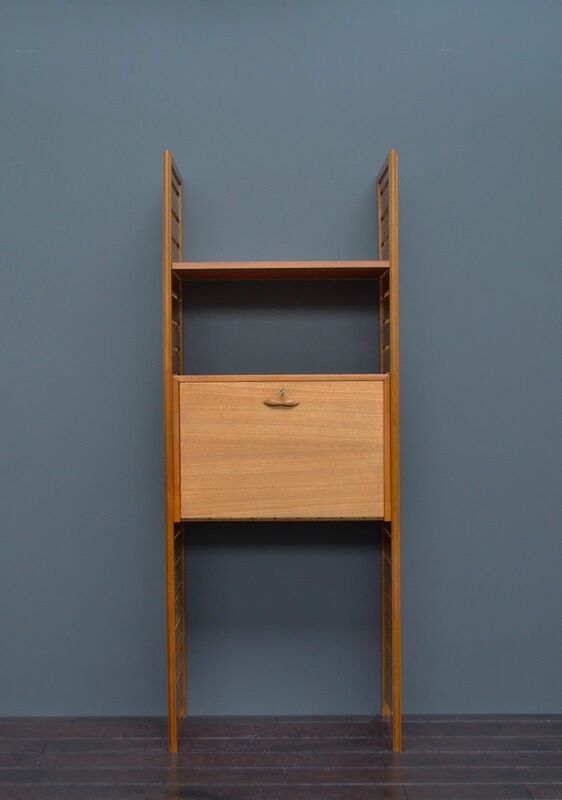 The wooden uprights and easy removable supports, allow the teak shelves to be positioned wherever required. 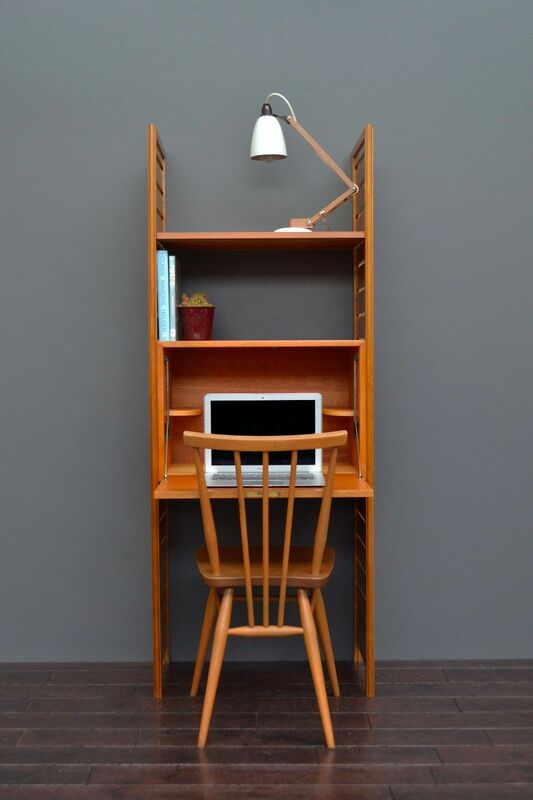 Very versatile piece as it can be used as a bookshelf and a desk. 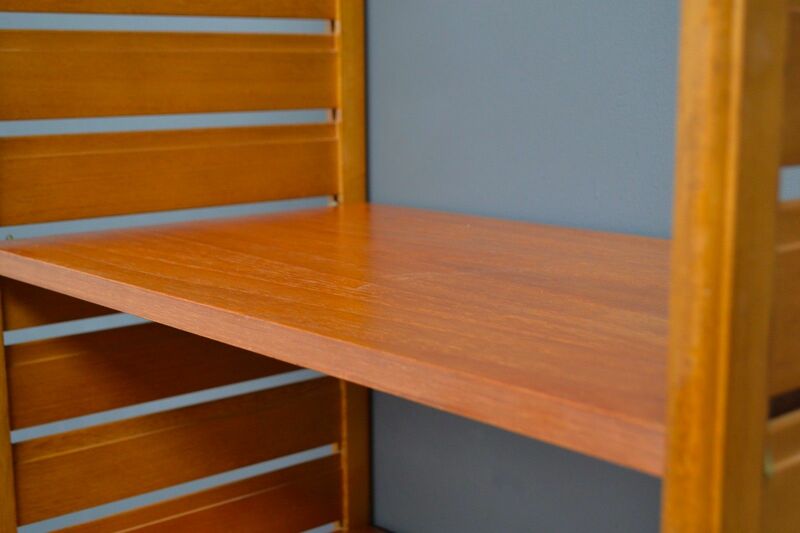 One bay consisting of a desk cabinet with key and a wooden shelf. 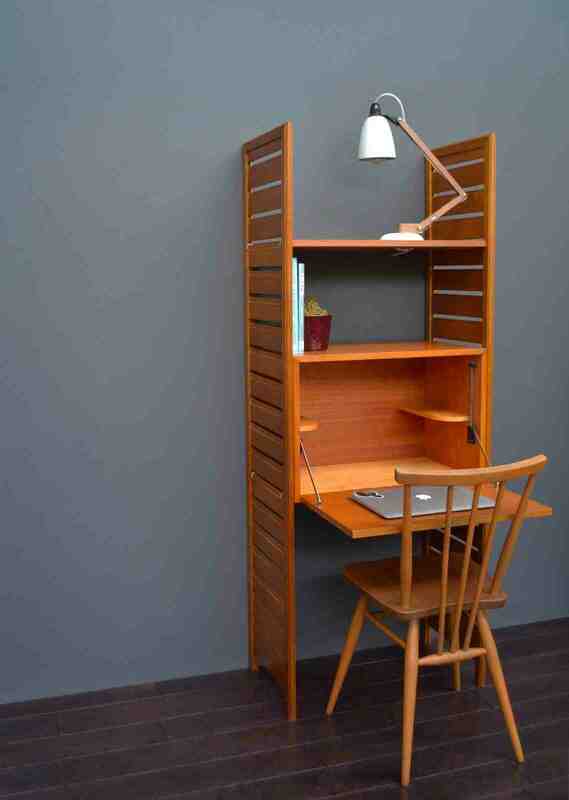 Please note the chair and items (excluding the ladderax system) are not included in this sale and are used for illustrative purposes only.